Infocom co-founders of Zork fame recognized as trailblazers of interactive fiction. The Academy of Interactive Arts & Sciences (AIAS) will honor Infocom co-founders Dave Lebling and Marc Blank with its 2013 AIAS Pioneer Award. As innovators, storytellers, game designers and programmers, Lebling and Blank have inspired a generation of gamers and game designers over a broad spectrum of games and genres with their contributions to interactive fiction and text-based adventure games such as the Zork and Enchanter series. The Pioneer Award is reserved for individuals whose career-spanning work has helped shape and define the interactive entertainment industry with the creation of a technological approach or the birth of a new genre. The 2013 Pioneer Award will be presented by Steve Meretzky, vice president of game design at Playdom, during the 16th D.I.C.E. Awards on Thursday, Feb. 7, 2013 at The Joint in the Hard Rock Resort and Casino Las Vegas. Lebling graduated from MIT and worked for more than ten years at the MIT Laboratory for Computer Science, where he co-authored Maze (the first FPS played on the ARPANET) and Trivia. It was there that he met Blank who was also attending the Albert Einstein College of Medicine at the time. At MIT Blank had started creating his own adventure game using MDL, a computer language invented at MIT, and was already working on the original mainframe for Zork, a virtual machine called the "Z-Machine,” which was fundamental to Infocom's future success. 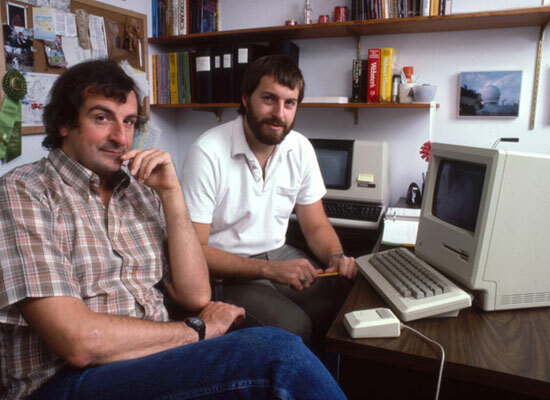 Dave and Marc co-founded Infocom in 1979 and went on to co-author Zork I, Zork II, and Zork III (where Dave introduced the "grue") and Enchanter.